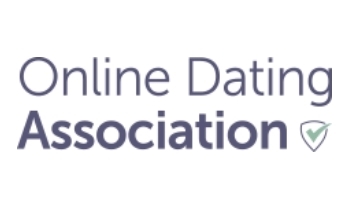 Thirteen leading dating websites of the United Kingdom, including, particularly, Match.com, eHarmony, Guardian Soulmates and My Single Friend, have already agreed to sign up as founding members of the Online Dating Association (ODA) – a new online dating industry initiative and a working body, which would be aimed at keeping potential consumer concerns at bay over the transparency of the annual £300m market – in response to the series of recent critical exposés. It is already assumed that the body will be headed up by George Kidd as CEO – ex-Cabinet Office director and PhonePayPlus chief executive with Duncan Cunningham, managing director of The Dating Lab, also agreeing to serve as its chairman. Members of the newly created ODA will be asked to sign up to a code of conduct, the latter insisting on that members are totally transparent with their clients over the used pricing models, no matter whether they are billed on a repeated basis, data privacy or the authenticity of dating profiles on its site. After a soft launch about a month ago the ODA is currently undergoing the process of drafting its founding code of practice. It also aims to become some kind of a hub for consumer advice for online dating, including various safety hints, etc. It is all done before officially going live (pre-planned for the end of October). By that time the newly formed Online Dating Association will also start the first dialogues with government departments and regulators. As it is reported, due to the ODA activity, in future online dating consumers will be able to search for the “hallmark” logos, verifying that the site is a member of the association and therefore operating to these industry standards. Moreover, part of the Online Dating Association commitment will also be aimed at helping the consumers make safe and informed choices between dating sites in order to get as much of the industry as possible involved. Partly such policy guideline may be determined by the BBC documentary claims about some of the dating site operators, collecting users’ data, such as photos, etc, from social media sites for uploading them to create false profiles, damaging the industry’s reputation. As mentioned above, the initial members of the Online Dating Association will be eHarmony, Match.com, The Dating Lab, Lovestruck, Oasis, My Single Friend, Guardian Soulmates, Love and Friends, Dating Factory, Christian Connection, Muddy Matches, Freedating and The Single Solution.